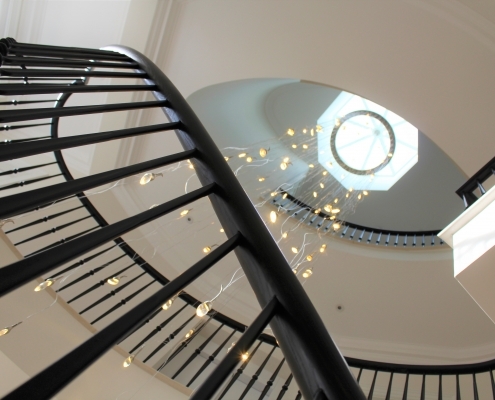 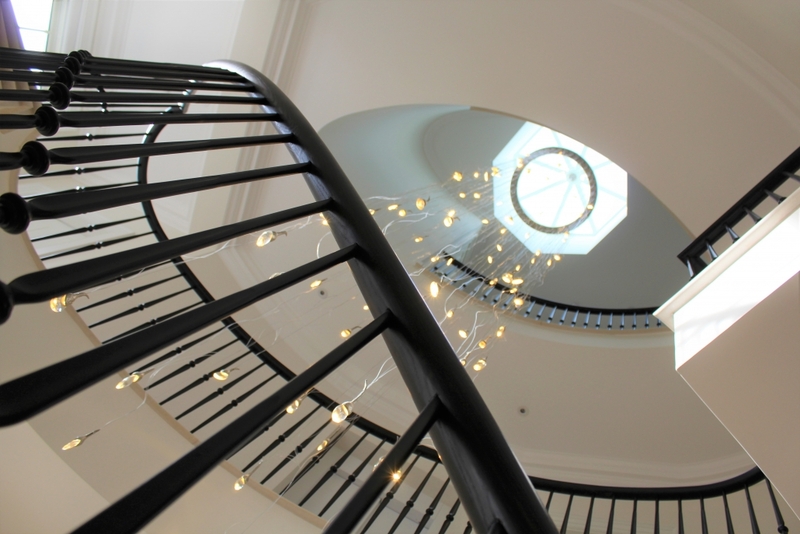 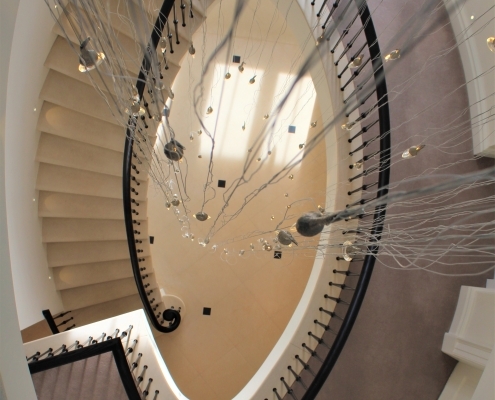 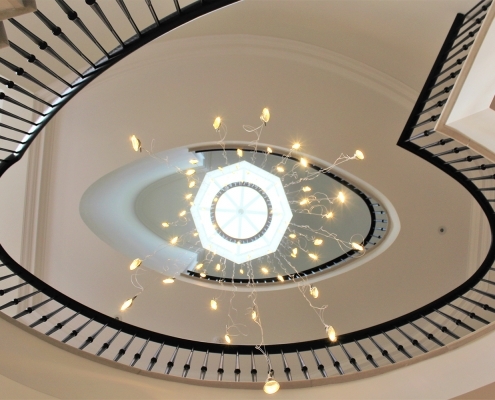 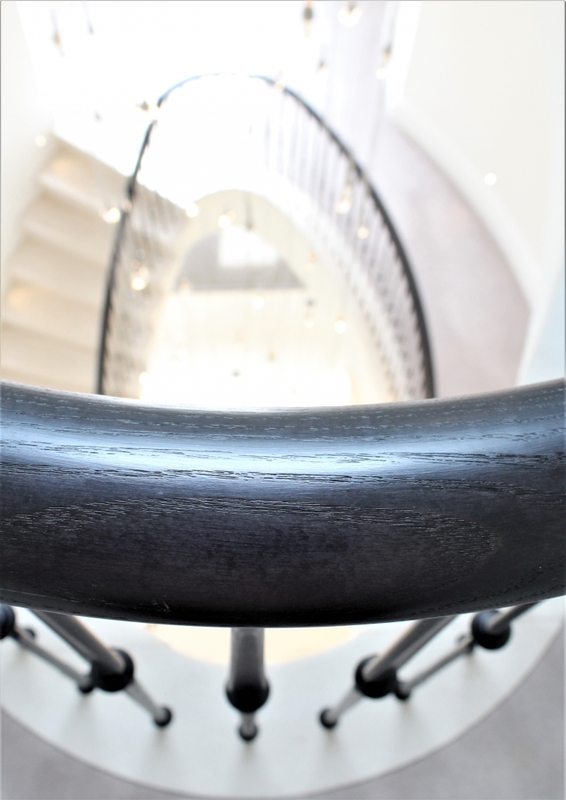 Working to another strict timeline, Handrail Creations were appointed to design, manufacture and install curved ebonised timber handrails and steel spindles at this stunning home in North West England. 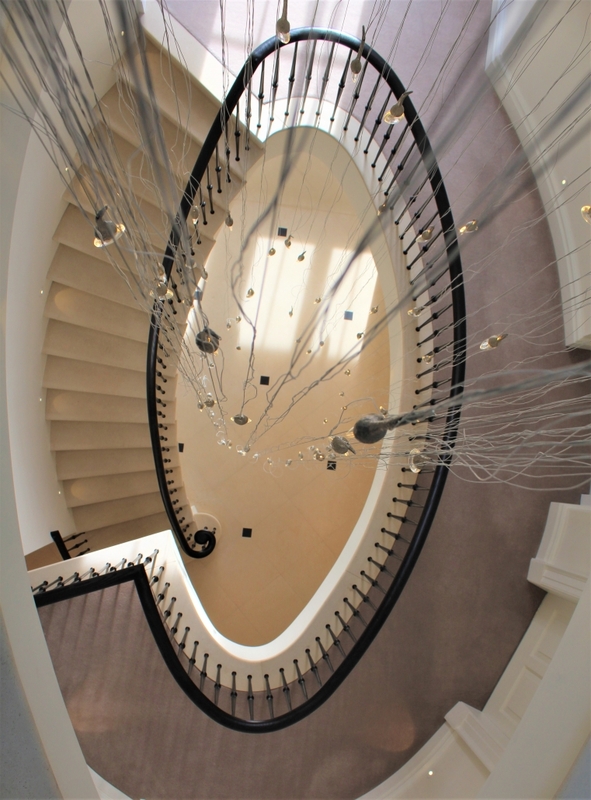 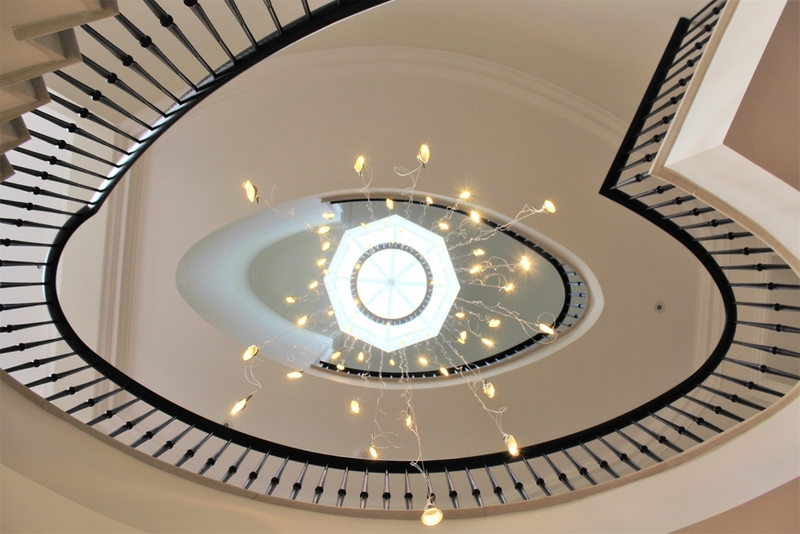 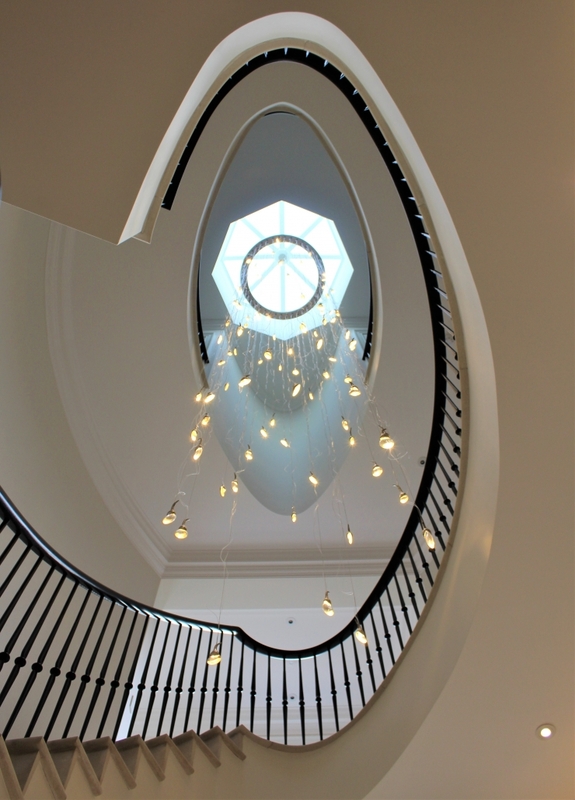 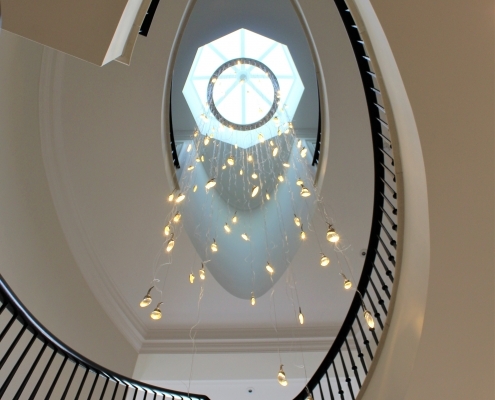 With the curved concrete stairs cast in situ and no accurate drawings, our team carried out a digital survey and were able to supply John Swift homes with individual templates, which they were able to use to drill precise hole locations for the spindles. 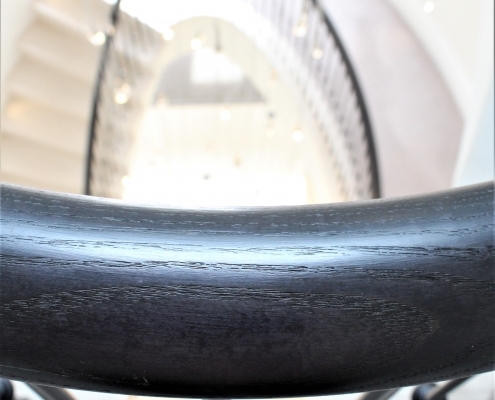 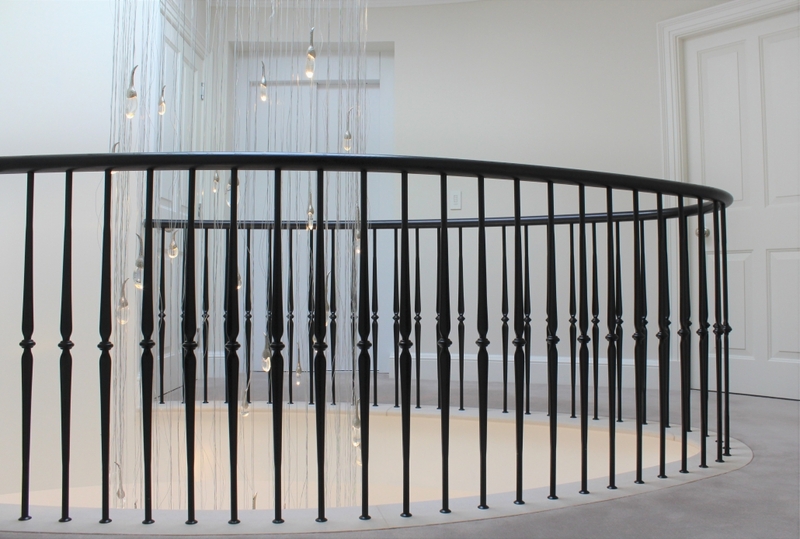 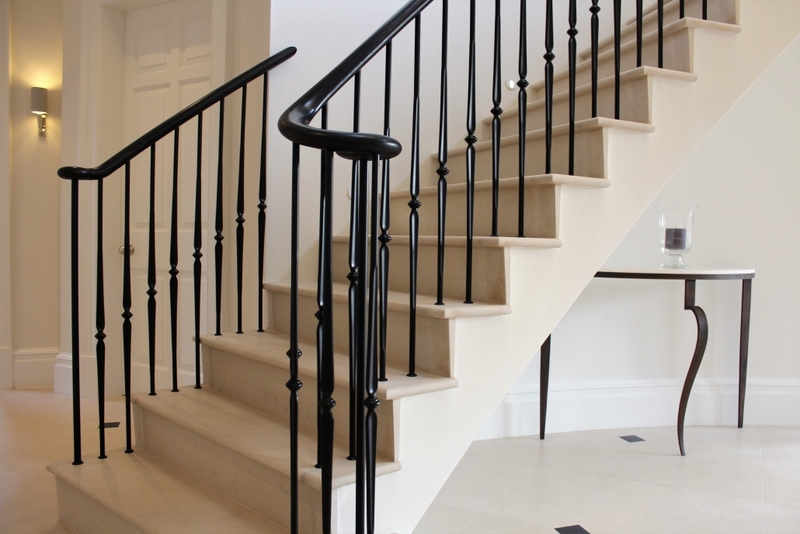 Once drilled, we designed the forged balustrade and American ash handrail to flow through over 3 floors. 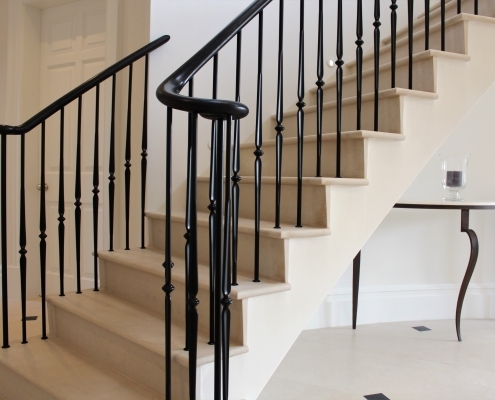 Not only do we pre-assemble the timber handrail with traditional fixing bolts, our team are now set up to pre-fabricate and paint steel spindles. 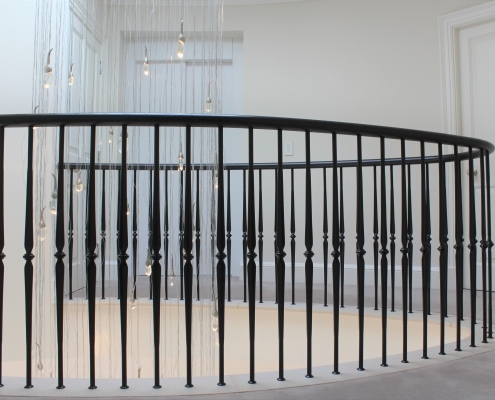 Cutting them to the correct height in our factory and pre-drilling holes in the handrails, halves our installation time and mess on site.